Most turtles are long lived animals, and potential pet owners must be aware that, with proper care, their new pet turtle may be a member of the family for decades. In many cases, scientists do not know for sure what the maximum life span of the various species is. In general -- as with most other vertebrate lineages -- the larger species live longer than the smaller species do. Some turtles, such as the Galapagos tortoises (Geochelone nigra), Aldabra tortoises (Aldabrachelys gigantea) and Seychelles tortoises (Aldabrachelys hololissa), routinely live for more than a century. 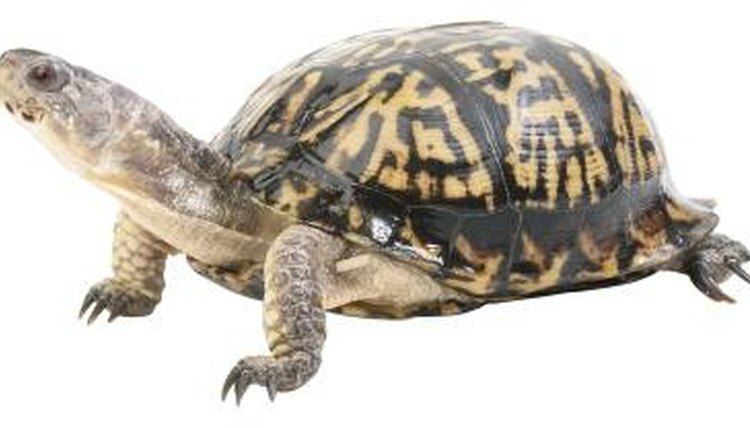 Smaller species, such as box turtles (Terrapene carolina ssp.) and red-eared sliders (Trachemys scripta elegans), have wild life spans of 20 to 30 years, though occasional specimens live to be 50 or more. Captive turtles -- who are provided with essentially unlimited food, veterinary care and protection from predators -- usually live longer than their wild counterparts do. The long life spans of turtles is a factor in their reproductive strategy, and crucial for the survival of most turtle species. The vast majority of hatchling turtles do not survive to see their first birthday, and only a very small percentage of those survivors are able to reach adulthood. However, once a turtle has attained adult size, their mortality rate drops markedly. Because they live so long, a female turtle can deposit clutch after clutch of eggs. Over the life of a 50-year-old turtle, she may deposit 5,000 eggs or more. When Is a Turtle Considered an Adult?